Brand new for 2018. 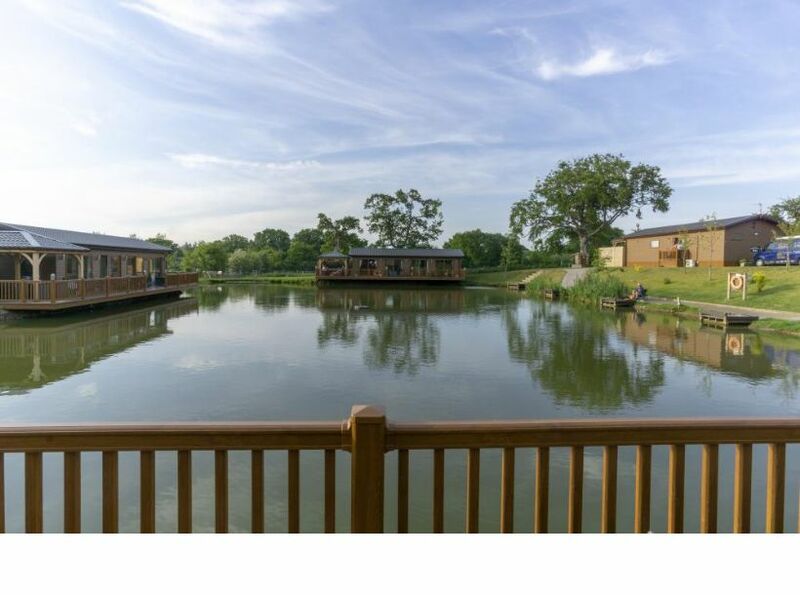 Stylish contemporary luxury lodge overlooking Heron Pool with fishing available directly from your private decking area 24/7. Hot and cold air conditioning throughout. Two king size doubles featuring en-suite extra-large power shower and walk in wardrobe. 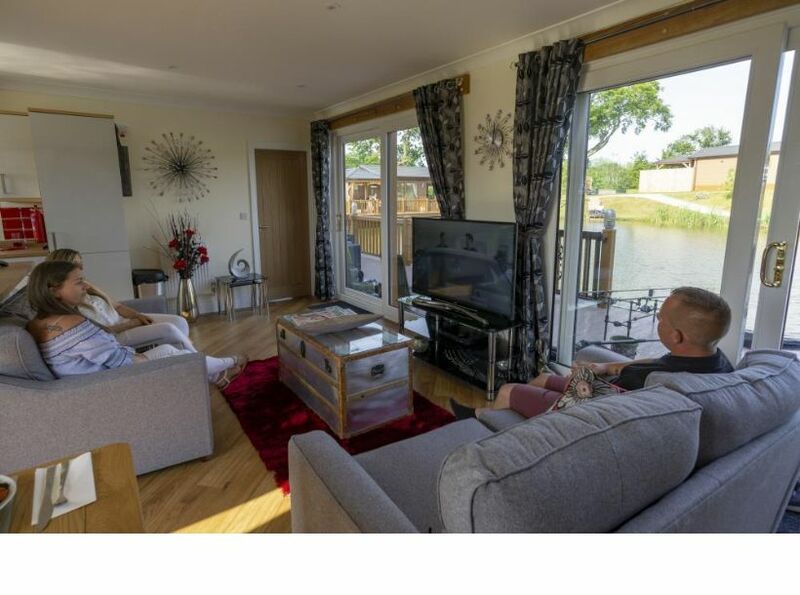 Superbly furnished open plan living area with sliding patio doors leading to cantilevered decking over the water with quality rattan furniture and fully sheltered, illuminated outdoor top of the range hot tub to relax and enjoy peace and tranquillity. Here at Caistor Lakes attention to detail is at the heart of all that we do. 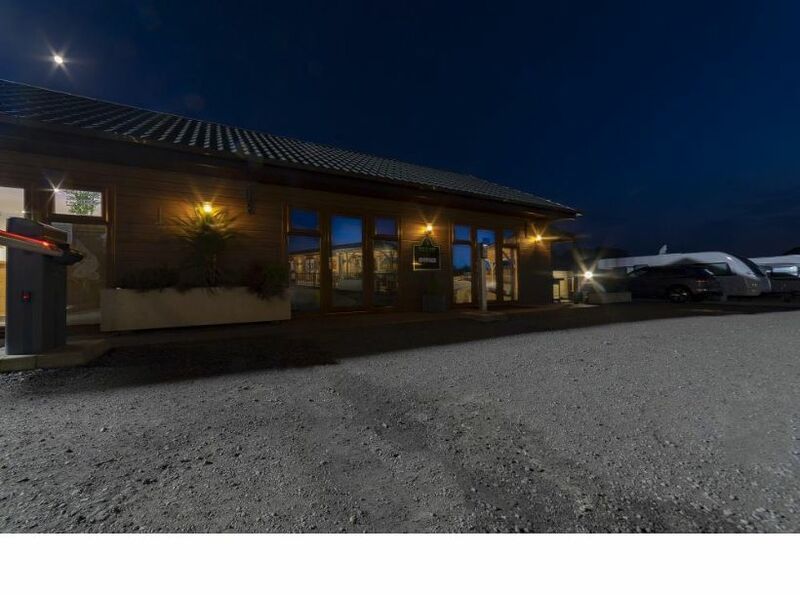 We offer luxury 5-Star lodges situated at different positions throughout the site. 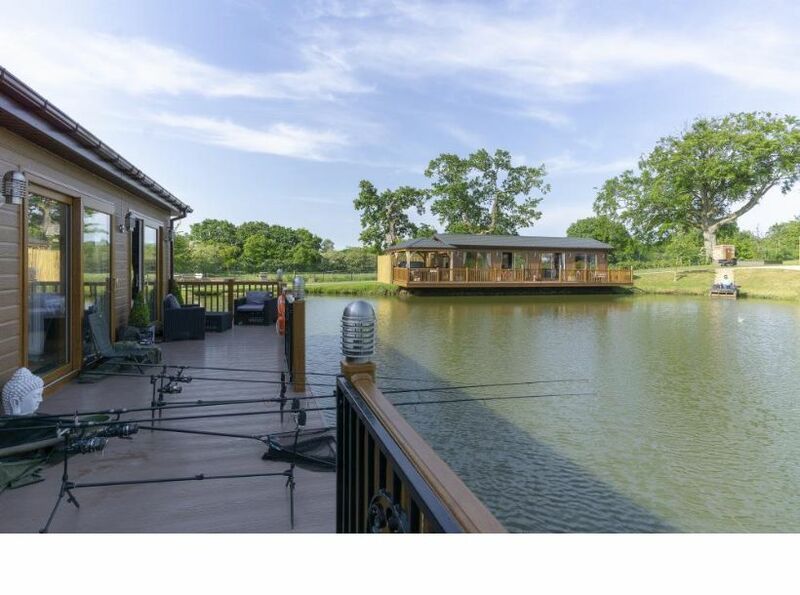 For that special occasion, relaxing break or fishing experience from your private cantilevered over lake deck. 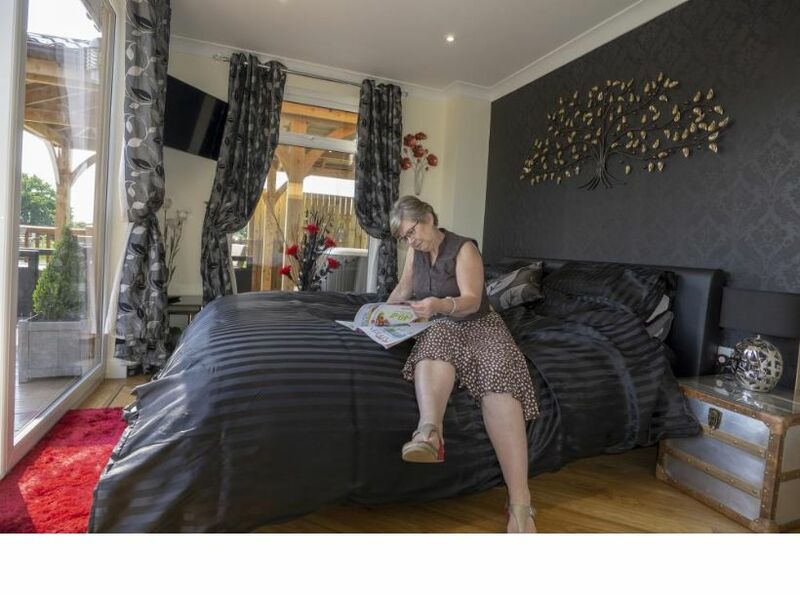 Each lodge features two double bedrooms with king-size beds, walk in wardrobe and en-suite bathroom. Beds are made up for your arrival and the first set of towels is provided. The 5-star interior provides comfortable surroundings throughout your stay, with open plan kitchen, dining and living area. 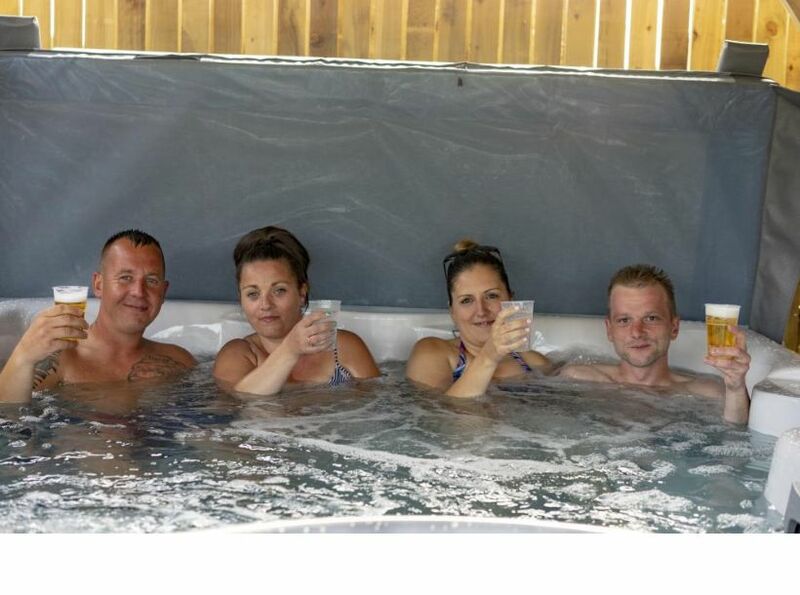 Don't forget to relax in your personal hot tub, nestled under bespoke pergola, fully lit for evening use. 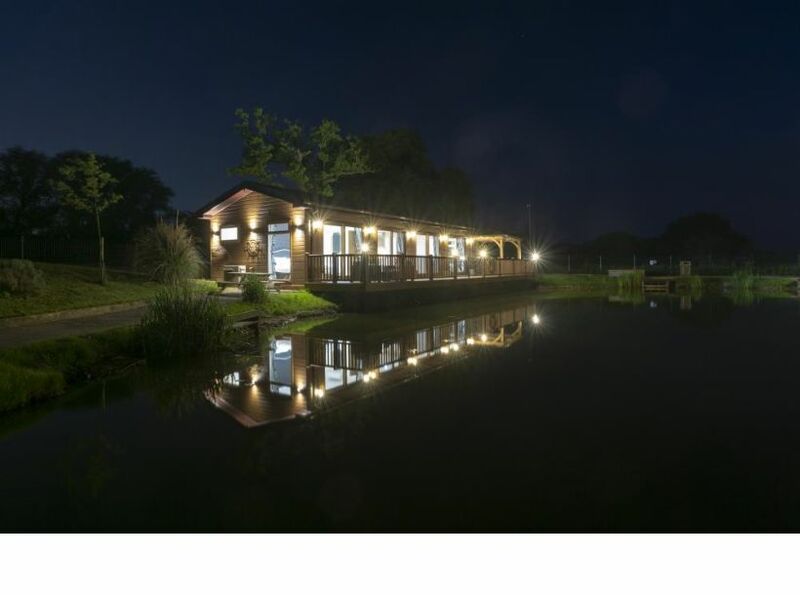 With three fantastically stocked fishing lakes, we have lakes to suit all tastes and angling abilities. All three lakes have been designed by a professional angler for anglers, allowing for a truly unique fishing experience. Foundry pool is our match pool and boasts Carp up to 13lb, whereas Heron pool is the pleasure angler’s dream, with Carp up to 30lb. 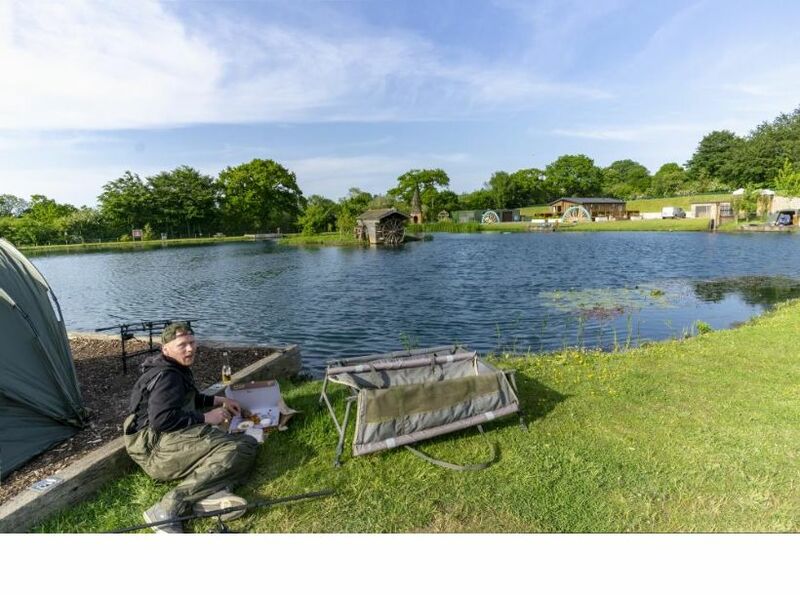 Both pools also hold impressive stocks of mixed silver fish and Carp, with very large Tench and Bream hidden in the depths. For the thrill-seeking Carp angler, we also have Arthur’s pool, stocked with Mirror and Common Carp up to 51lb. The current 2018 record stands at 46lb, with the elusive 50+lb still yet to be caught. Heron and Foundry pool are charged on a day ticket system, with Arthurs pool being booked in 24 hour slots. Booking for Arthurs in advance is a necessity as it is extremely popular. 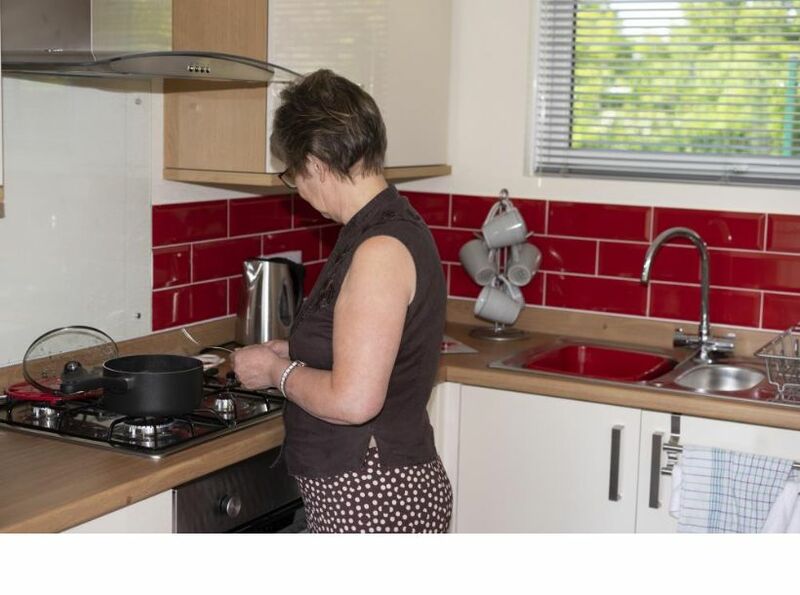 Our modern shower block and toilet facilities are finished to the highest standard and are available 24/7, with disabled toilet facilities available upon request. 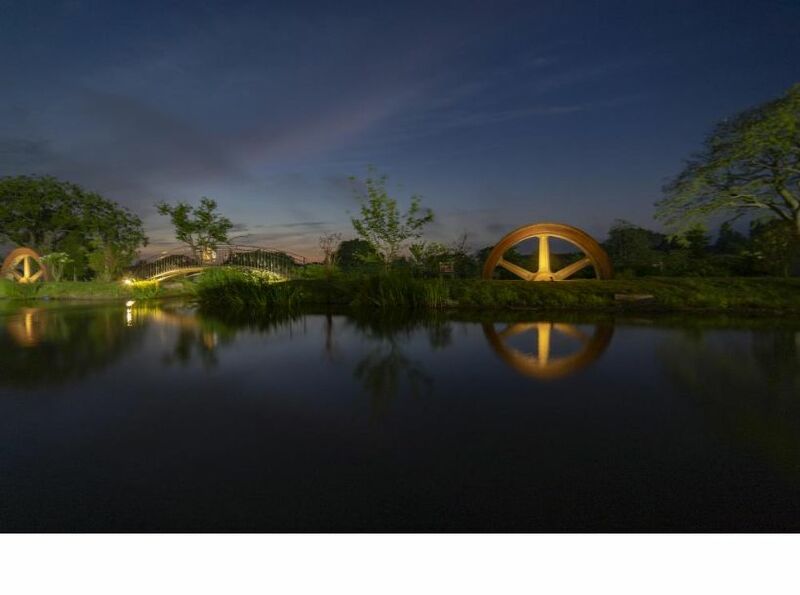 Our 5-Star Multi-Award Wining Adult-Only Site boasts meticulously maintained grounds and state of the art facilities 365 days a year. 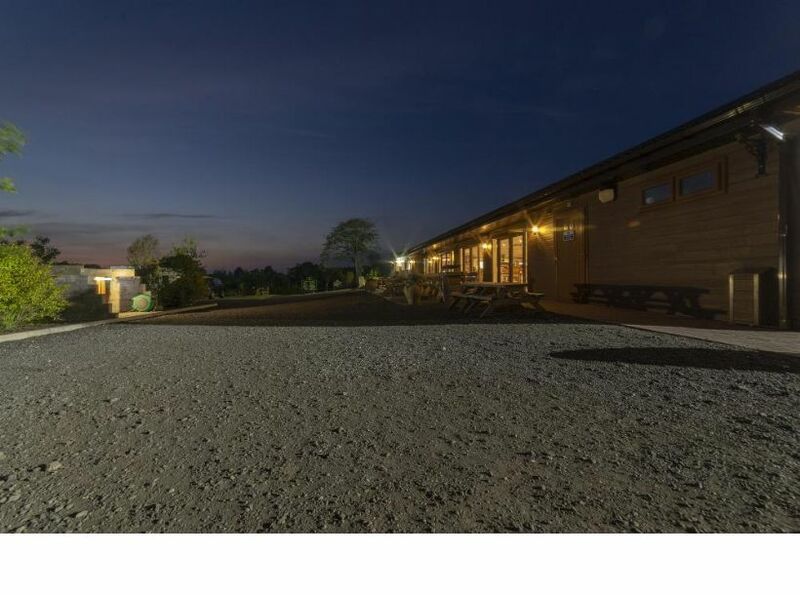 We have 28 Hard-standing pitches, with ample room for caravan/motorhome and car, with grassed area for your awning. 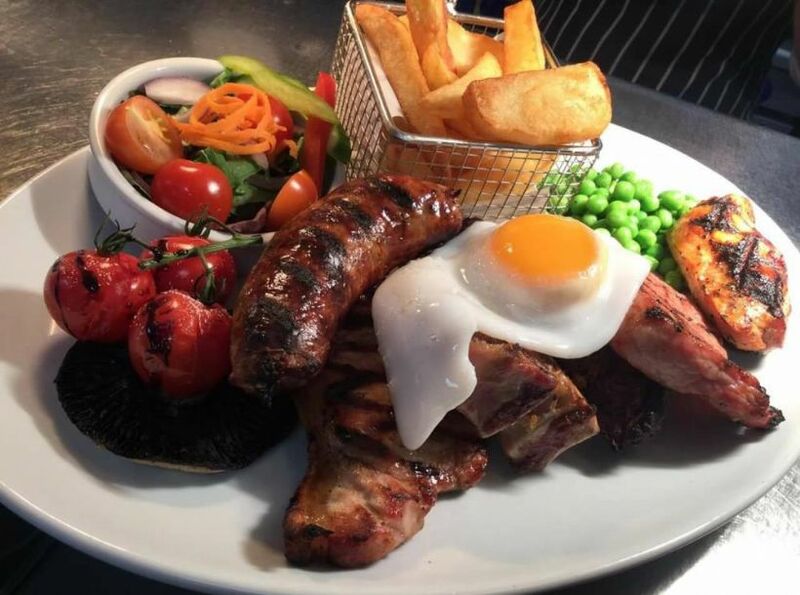 Our on-site Platinum Award-winning restaurant serves food daily from 7am, using fresh, locally sourced, award-winning produce, freshly cooked in house for the best dining experience possible. With a delivery service to your lodge, caravan (or fishing peg!) 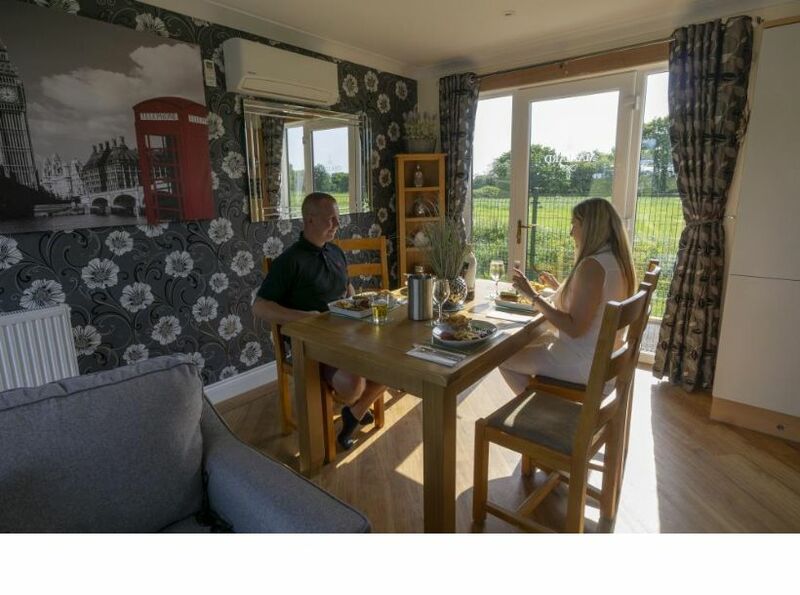 included in the price, there are many ways for you to enjoy your stay with us here at Caistor Lakes. If peace and relaxation is what you have in mind, Caistor Lakes is the place for you.